I think we can all agree that a pie is not just a pie, but a sign of warmth and the true feeling of home. The smell of freshly baked pie that is cooling on a windowsill is a memory dear to so many people, and luckily pie is surprisingly easy to make. Pumpkin Pie tastes like Christmas itself and is the one true Thanksgiving-dessert. A pie that everybody loves with it’s soft filling and a crispy shell, not too sweet but with lovely tones of spice. Historians have traced the roots of pie to the Greeks, who are thought to have invented the pie shell by mixing water and flour 950 B.C. 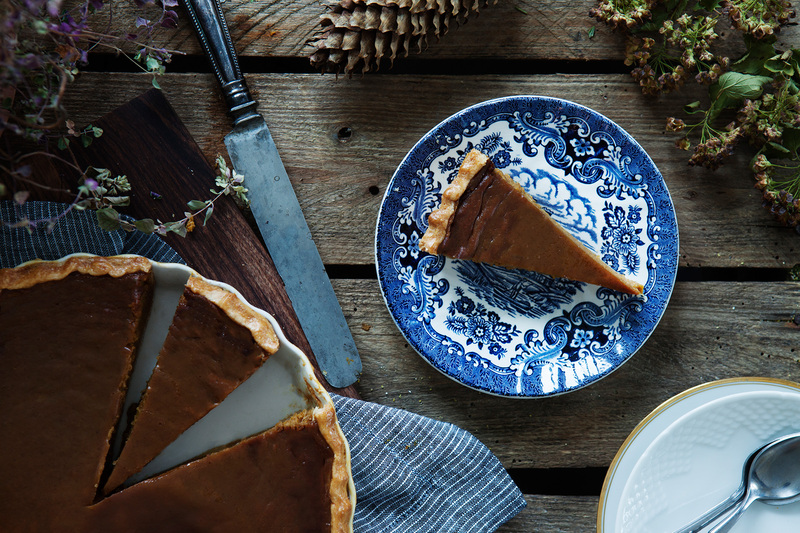 From there the pie culture traveled to Europe and from England to the United States in the mid 17th century when the Pumpkin Pie Recipe first appeared in a cookbook. Despite all that, it wasn’t until the early 19th century that pie became popular among the general public in America. The reason why I make my own pumpkin purée is because I want to be sure that no sugar or additives are added. You can easily freeze pumpkin purée, so I always make a large batch and store leftovers in the freezer. If you do not have time to make your own purée you can use canned, just make sure to buy the purest one without spices and added sugar. To save time you can make both filling and the pie dough few days in advance and store in the fridge. But don’t roll out the dough or fill the shell until on the day you bake the pie. If the pie begins to brown on top before the filling is stiff while in the oven, then cover with foil and continue baking. Fancy some more Pumpkin Recipes? Check out my Pumpkin Spice Latte and Thai Pumpkin Soup. 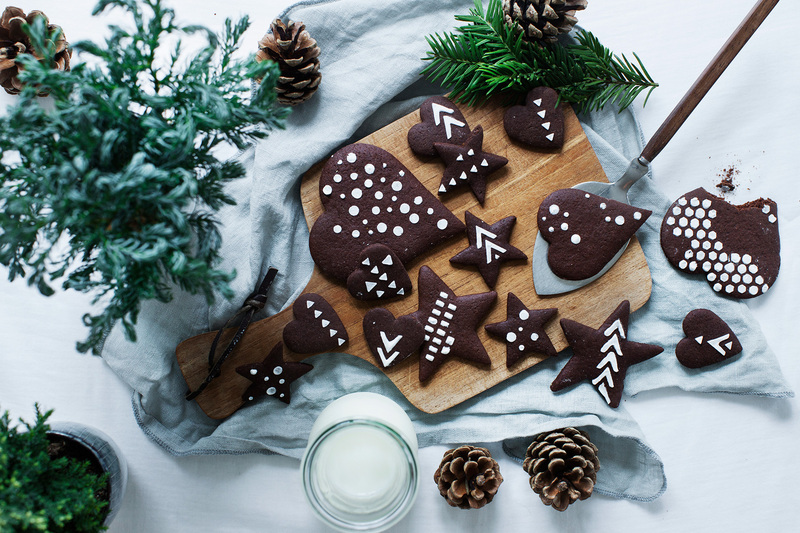 Looking for inspiration for alternative Thanksgiving Dessert? How about A Gluten, Sugar and Dairy Free Chocolate Pumpkin Cake, Pumpkin Pie Ice Cream, or some Pumpkin Pie Truffles. Don’t discard the seeds from the pumpkin, make Roasted Pumpkin Seeds for your salad! Mix everything together in a large bowl and pour directly into the pie shell or store in airtight container in the fridge for up to 3 days. Pour the dough onto a clean surface and press it together into a disc. Wrap in plastic wrap and place in the fridge for 1 hour or up to three days.